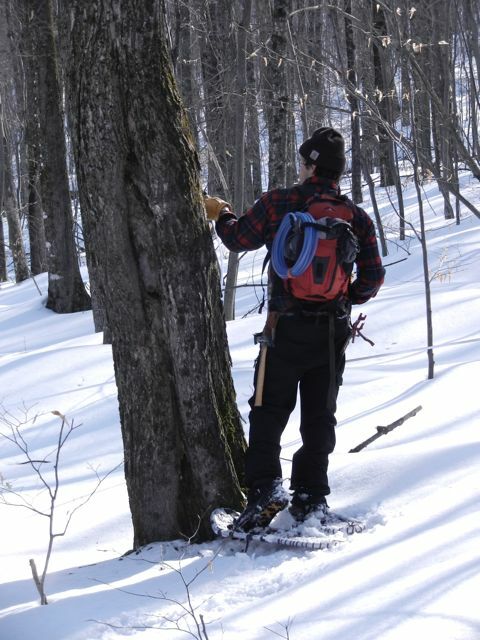 Each spring since 1980 we, the Coty family, have tapped sugar maple trees in the foothills of Mt. Mansfield. 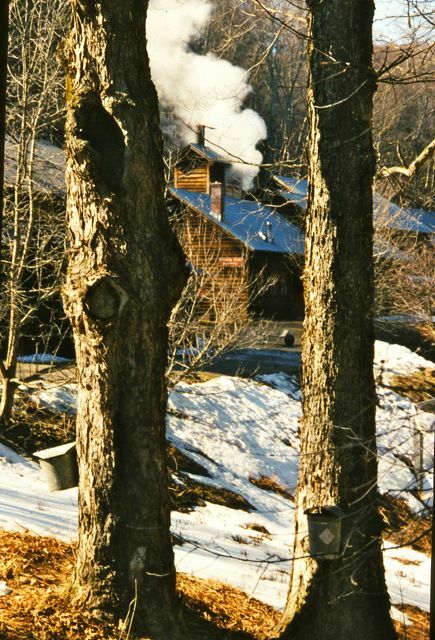 The mountainside sugarbush slopes up from Nebraska Valley in Stowe, Vermont, six miles from the village and part of the scenic view from Trapp Meadow. Visitors are welcome year-round (all-wheel drive recommended in winter). Our retail room features maple products for sale at sugarhouse prices and a display of photos and artifacts. APRIL 19th: BOILING IS OVER FOR 2019. 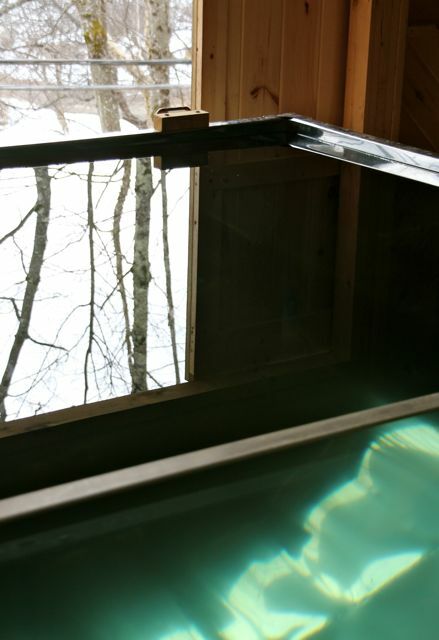 THERE ARE NO MORE VISITORS’ BOILING HOURS. We’re open for sales 10-5 daily. DRIVING CONDITIONS APRIL 19th and beyond: Dirt. ALL WHEEL DRIVE not necessary. 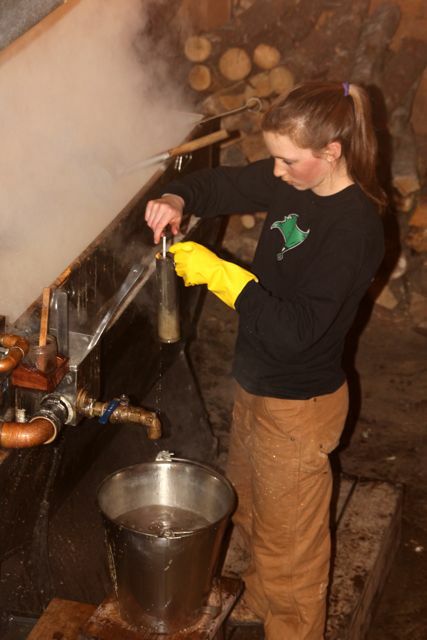 Maple sugaring comes with the territory here in northern Vermont. The Nebraska Knoll "terroir" - the unique quality of our syrup - derives from the soil, the weather on the knoll, and the blend of traditional and modern practices particular to the Coty style of sugarmaking. 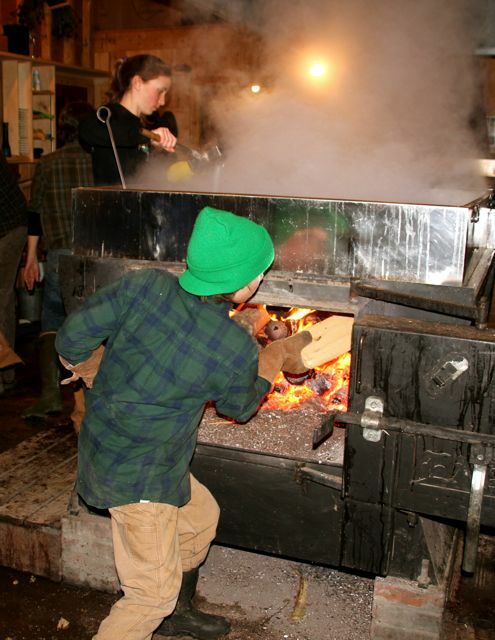 Be an armchair sugarmaker via our Blog!